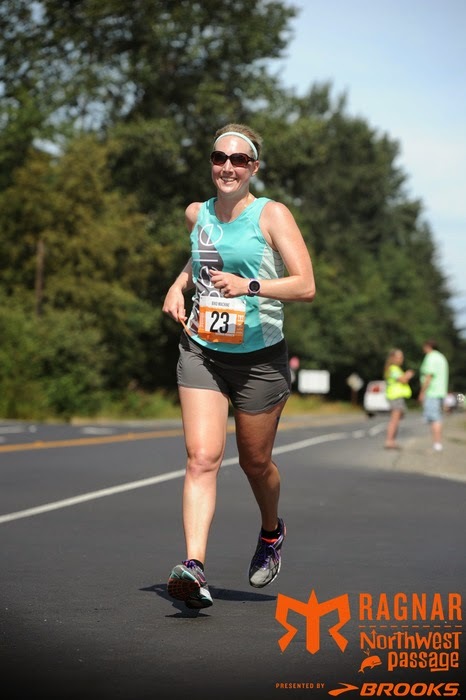 Now that the double header of Ragnar NWP + SF Marathon weekend events are over, I can finally catch up on the blog! 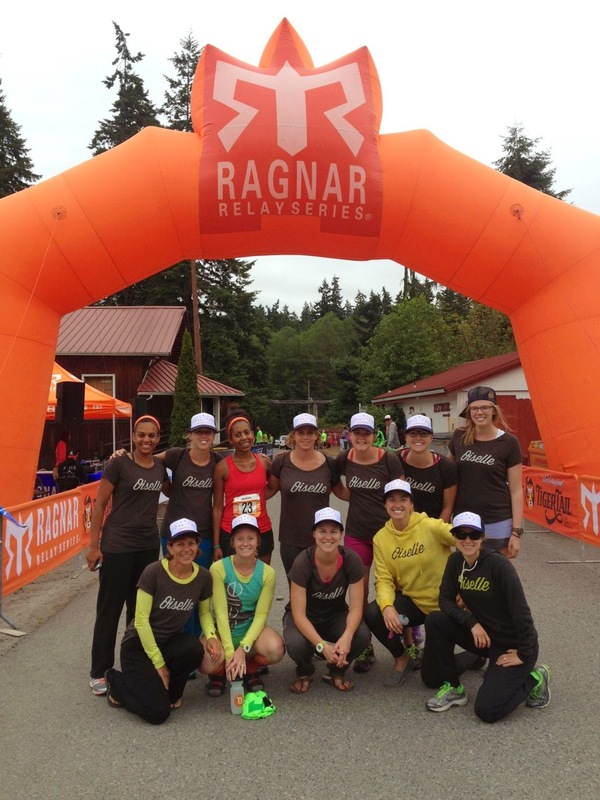 Ragnar NWP with the Oiselle team ladies was a great time once again. I flew into Seattle on Thursday afternoon, picked up vans with the help of Lauren and Jess, and then headed straight to Oiselle HQ to meet everyone for dinner and van decorating. Last year I arrived in the morning which was much easier; this time we hit rush hour traffic and I felt time crunched to meet everyone. I was in Van 1 with an early wake-up call, so we finished decorating and pretty quickly headed off to sleep. In the morning I woke up to the smell of breakfast - Jess's husband had made us pancakes at 5:15 am! Amazing. It really made my morning. We drove the 2 hours or so to Blaine, WA, and easily found the park where the start was located. Soon after our safety briefing and swag gathering, I was off and running. It was fun to be runner 1 and to start with a group of people. It gave me people to run with from the beginning and there were runners around me constantly, unlike my previous SoCal experience when we started so late in the day. 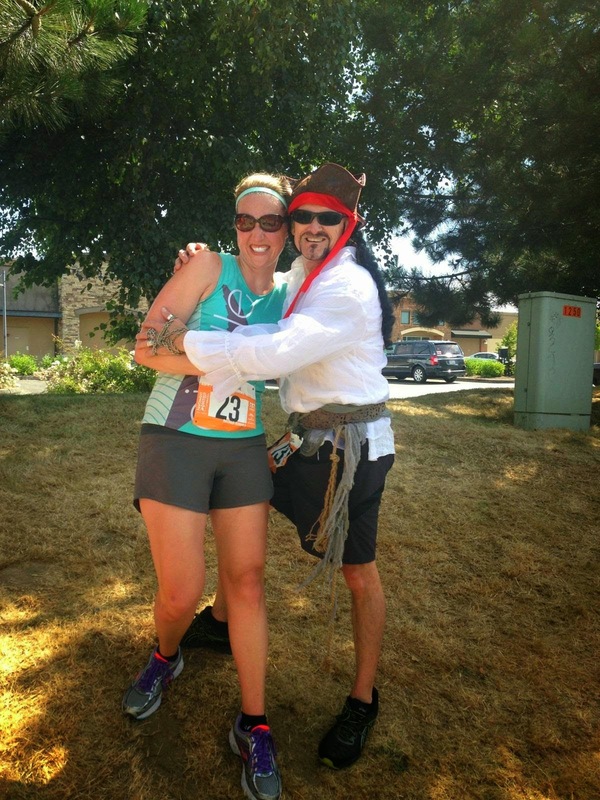 I ran with Tom, who was dressed as a Pirate, for about 4 miles of the first 6.3 mile leg and had a great time chatting. Then I found some more pep and finished stronger than I had started. Van 1 at the start. Runner 1, Leg 1. 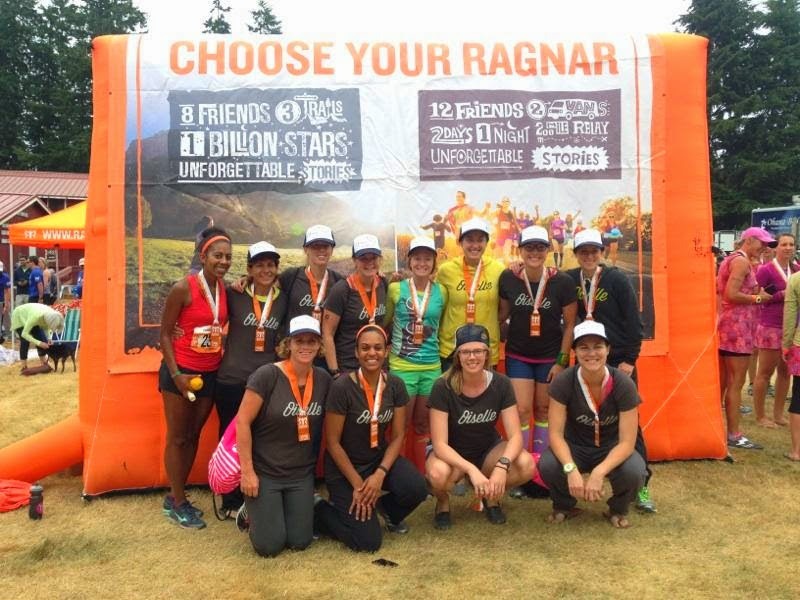 I love that Ragnar has free photos. With my new Pirate friend. 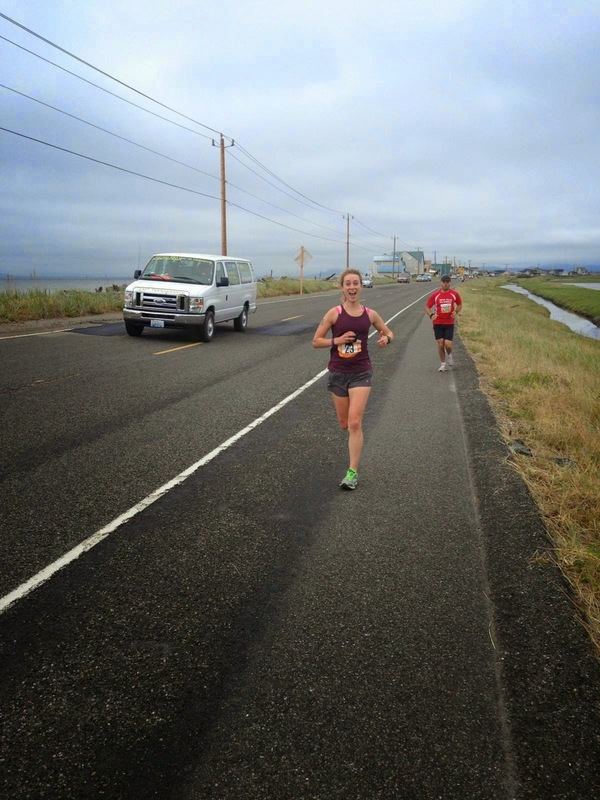 The rest of the van 1 legs flew by, and before I knew it we were at exchange 6 to pass the bracelet to van 2. Enjoying the ocean view while cheering for Laurel. With Laurel and Sophia at an exchange. 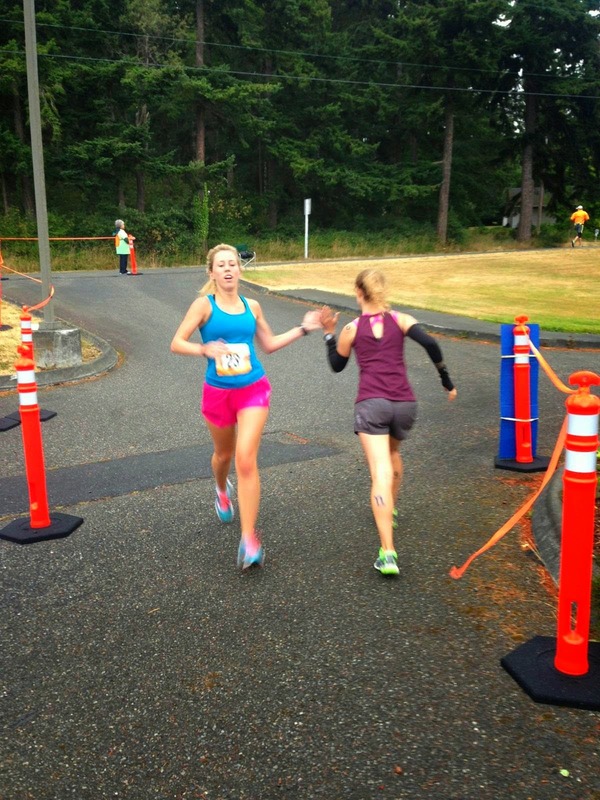 Love this handoff from Anne to Amanda at exchange 6. We hung out at exchange 6 for a while to enjoy the expo feel. I was thrilled to find the Tiger Tail booth because I'd forgotten to bring mine, and I even won a pair of Brooks shoes from the Run Happy Island! Ahh, Tiger Tail for the hip flexor and quad. After grabbing some food we headed straight to exchange 12 to rest. It was afternoon and not sleeping time, so we just rested on a blanket, chatted, and tried to recover a bit for run number two. Even though it wasn't dark for my second run, I wore the reflective gear because I wouldn't finish until night hours had started at 8 pm. This was one really different thing about van 1; I didn't end up running in the dark at all (sadly) and our van rest times were more normal than when I was in van 2. 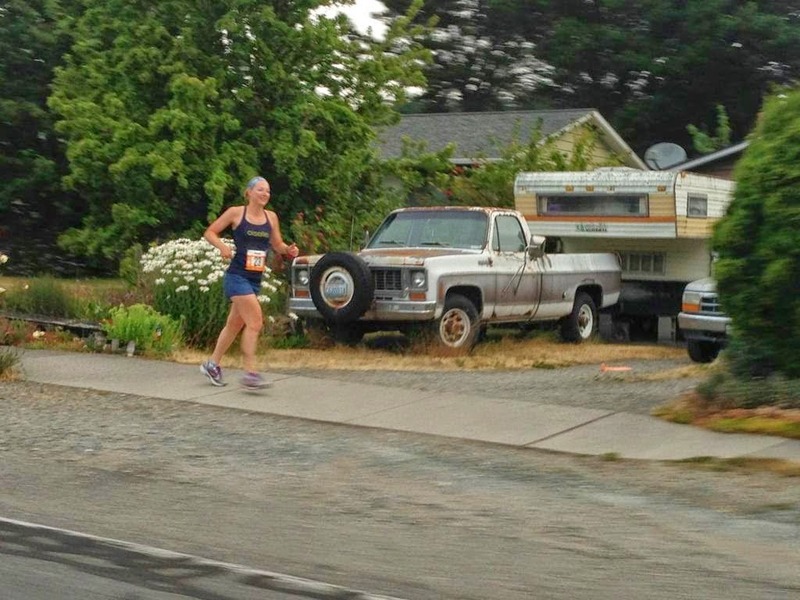 I actually preferred the course part of van 2 better though. Most of our team at exchange 12. 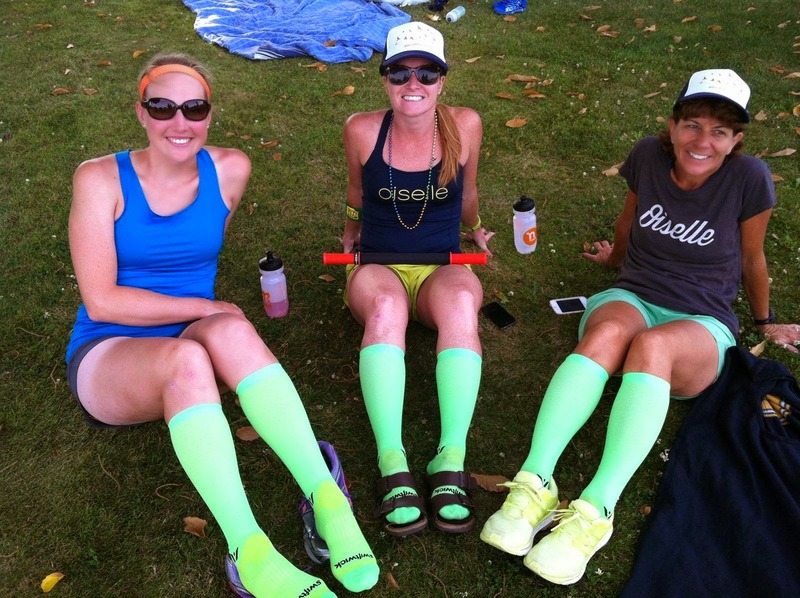 Resting and recovering with the Swiftwick neon green socks. Now THAT'S an ice cream cone! After Anne finished the runner 6 leg, we went straight to the next major exchange to sleep in the gym. 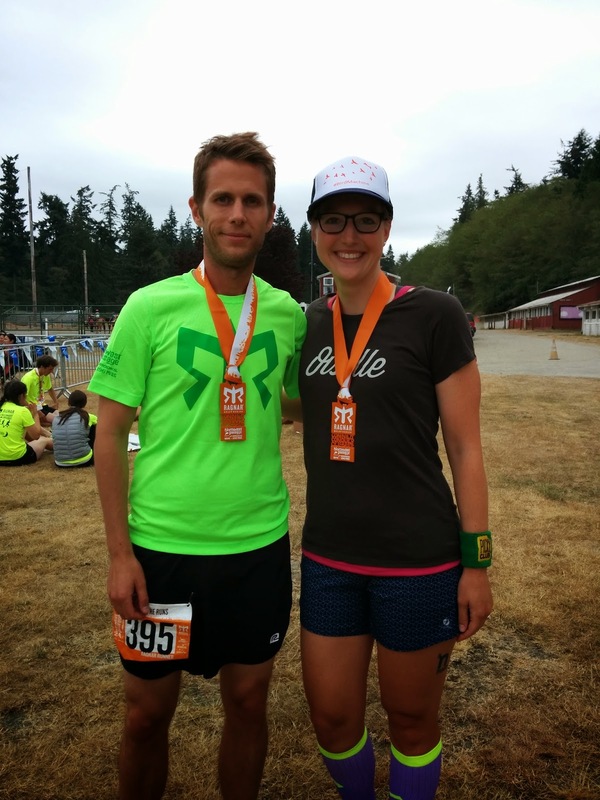 I have to say, I have never gotten so much sleep during a Ragnar; I slept about 4 hours this time. 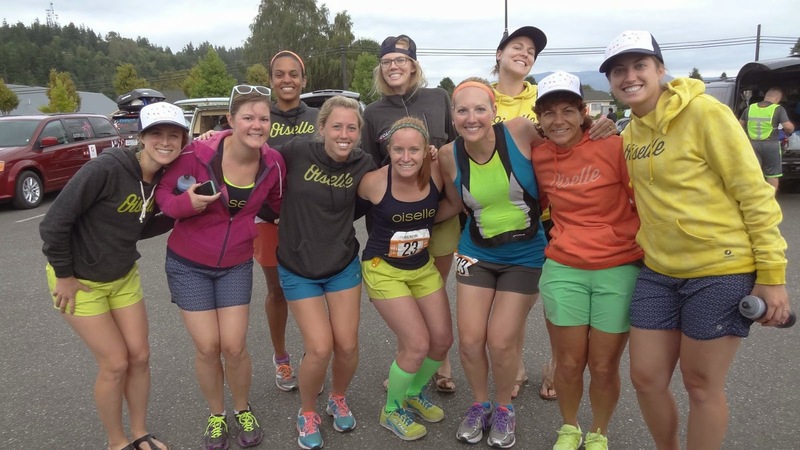 The timing of when we started the race, being in van 1, and the way the running times worked out was really different than in the past. I actually felt pretty rested when I woke up for my last run. Being runner 1 was really convenient for this one because I felt like I'd just woken up for a 6 am morning run. My favorite was Allison's description: it's like we stayed out late at the bar and now we have a morning workout. Last run! Great scenery in this photo, yeah? About halfway through that run it started sprinkling and then raining, which felt pretty good. I ended along the water and when I passed off to Laurel it was legit raining. It was never very hard and luckily didn't last too long. The last legs for our van definitely had some nice coastal scenery. Jess to Allison. Our bracelet was lost so we moved on to high fives. More fun actually. Allison during her last, killer 8 mile run. The next thing we knew, we were done and van 2 was back in action for the final part of the race. 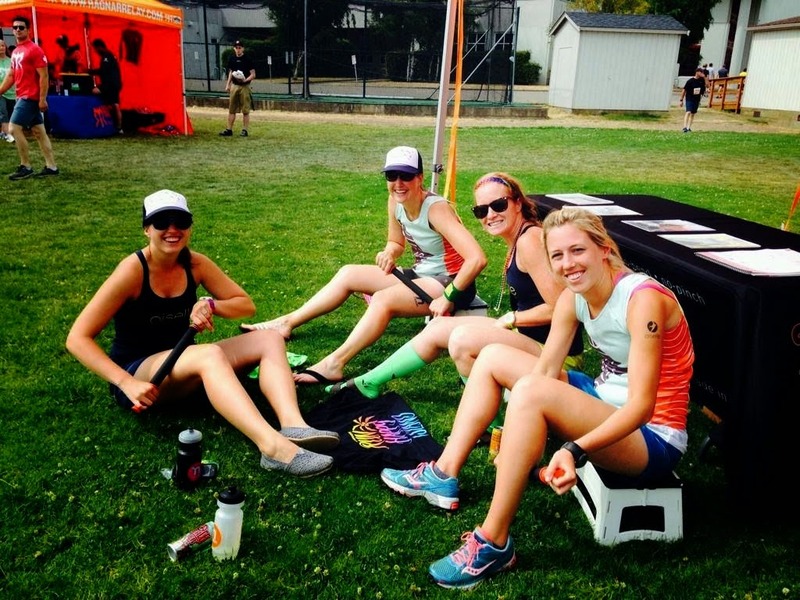 The finish line was a fun atmosphere as always, but no free beer at NWP like we had at SoCal. We cheered for many teams and rested on the hillside by the finish for a few hours. The van 1 'we're done' selfie. 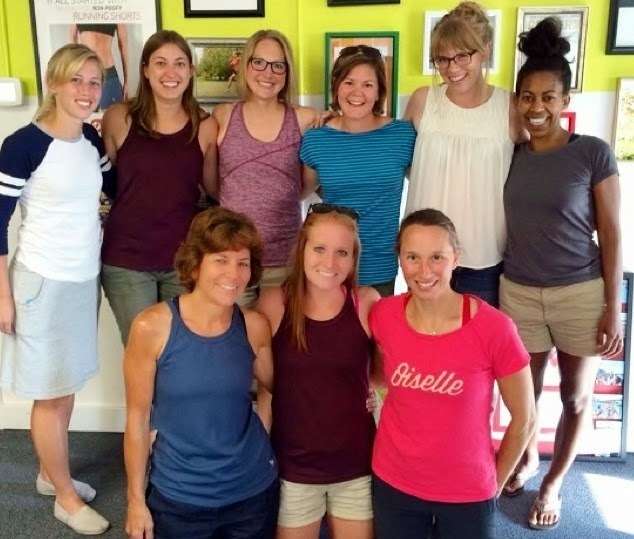 Soon it was time to meet the van 2 ladies and to welcome home our finisher, Morena! And last but not least, I must mention that I met The Oatmeal. I was a dorky fangirl, but a super happy one at that. We had pizza with the whole team (they have one free pizza per van at NWP) and then headed out soon after. Everyone was pretty tired and ready to start the trek back to Seattle, which involves a long car ferry line. As always, I wished I could have spent more time with the other van. 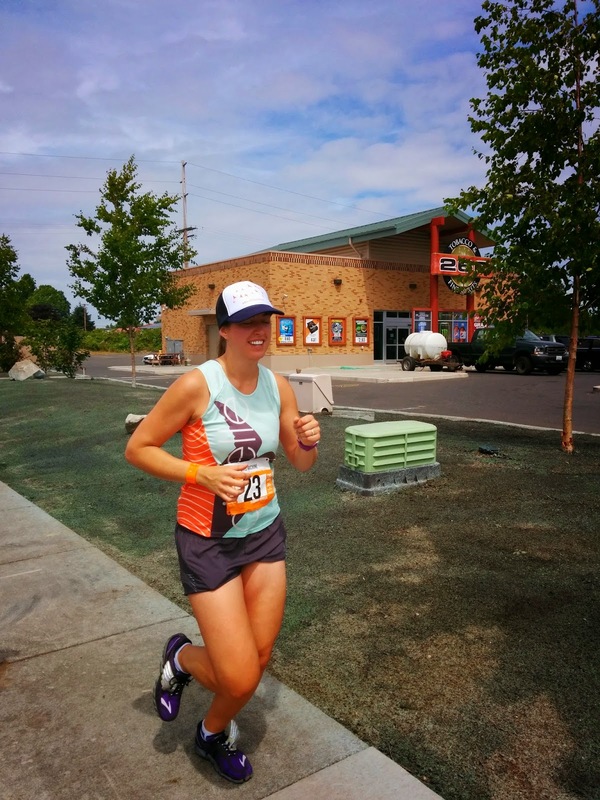 One interesting part about this race was that it's the first Ragnar I have repeated (check out last year's recap here), and I swapped vans. It's a very different race from van 1, or at least it was for us. As I mentioned before, I slept more because our breaks came at more normal sleeping schedule times. My teammate Andrea really hit the nail on the head with her van 1 versus van 2 list at the end of her post. I'd change one thing on her cons list though; I preferred the more challenging and longer legs in van 2 and I didn't really mind less sleeping! 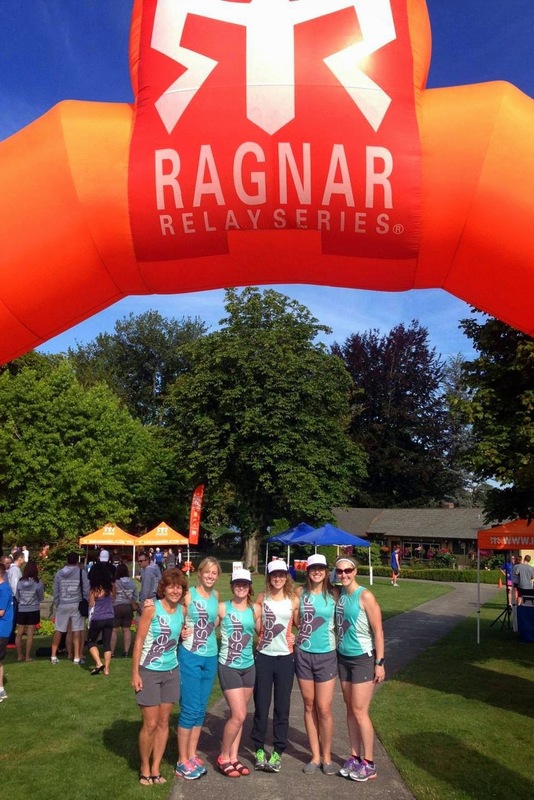 Last item to note, Ragnar NWP has different shirts than other events because they are sponsored by Brooks - these are the bright green shirts you see throughout the photos. I also received a team captain trucker hat, which randomly looked very similar to our Bird Machine hats. 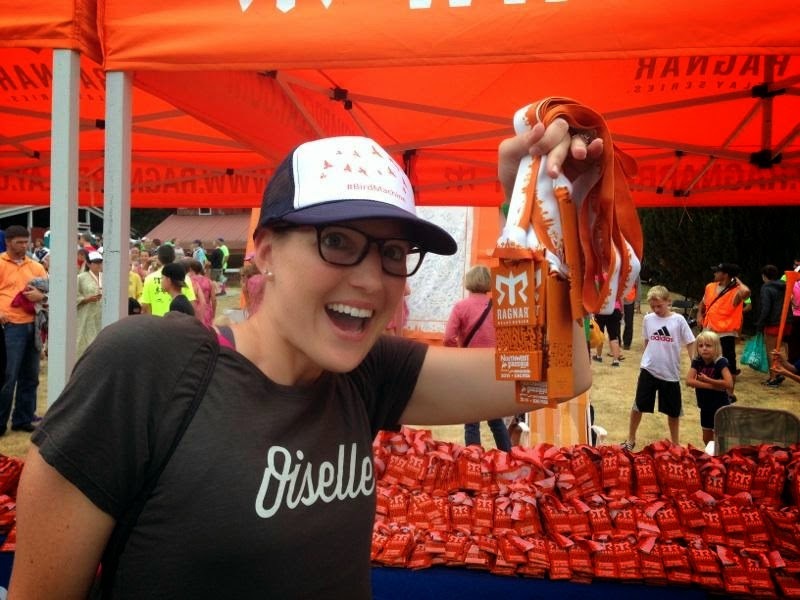 Medals are the same as other Ragnars this year but with the NWP logo, and they are a bottle opener under the ribbon. 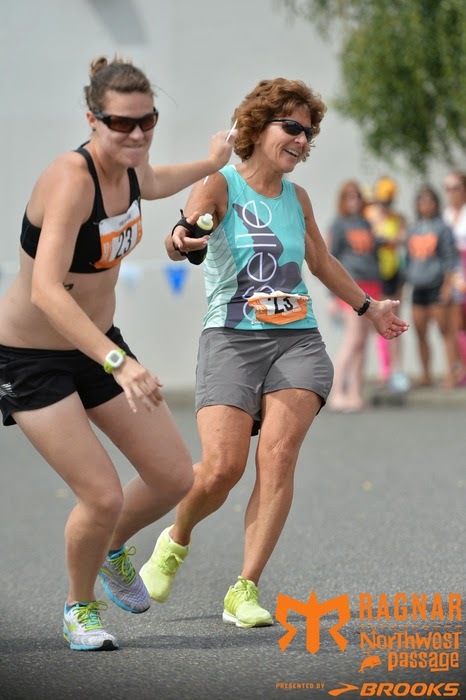 All in all, I highly recommend this relay from either van and I prefer it to the other Ragnar courses I've run in Napa and SoCal. Happy running! Team captain trucker hat?! How? Where?! I did van 1 last year, van 2 this year. I think I prefer 2 overall. Fun recap!!! 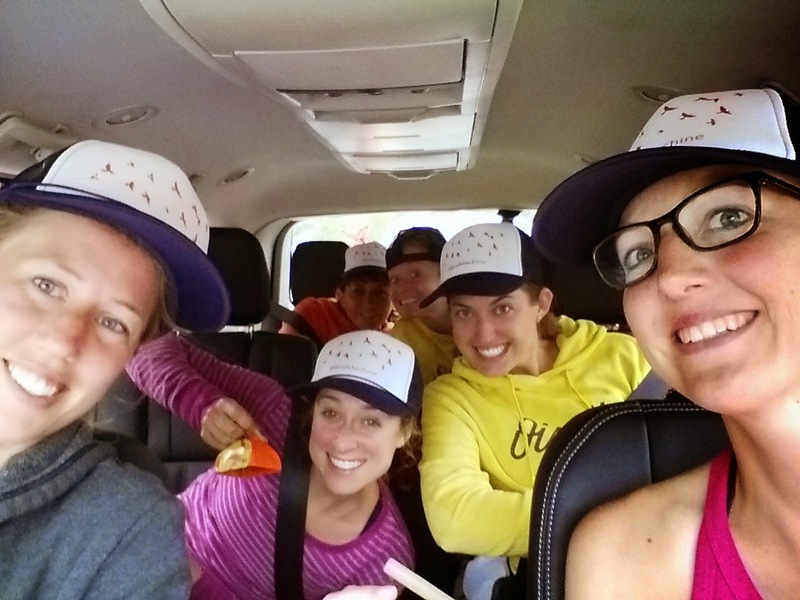 They gave one hat to each team at the start line - maybe someone in your van 1 took it? haha. Find it! I ran about 13.6 total, there tends to be varying distance totals. I picked a short one because I was supposed to be running SF Marathon the following weekend, but that didn't work out. I've done both longer and shorter ones. We should chat at bird camp! 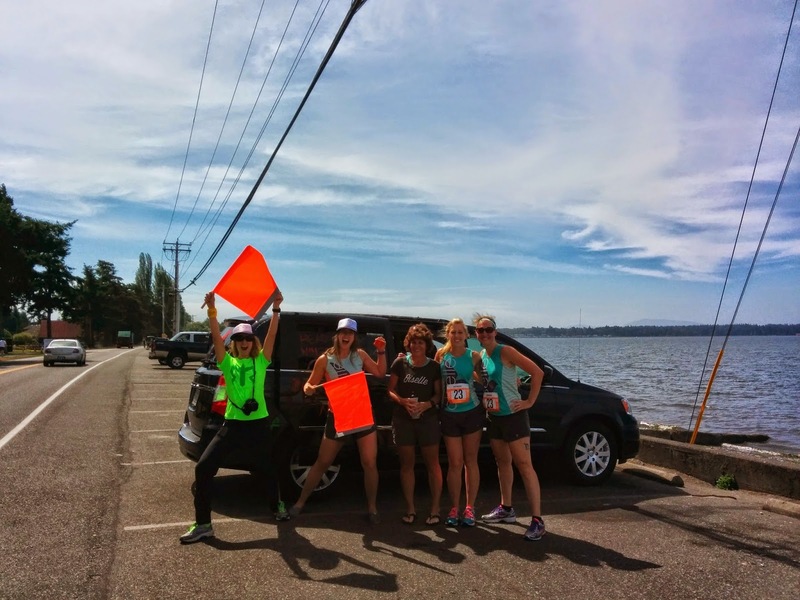 So fun to read your recap of Ragnar NWP! I'm gearing up for my first Ragnar in a week and a half here in Colorado. I'm very excited and nervous all at the same time! Oooo have fun in CO, I bet that one has some fantastic views! You'll love it. Nice recap, Paulette! I ran those legs last year, sounds like you had fun. Thanks! I liked runner one overall! Can I have pizza AND beer? Haha, now I'm getting greedy! I highly recommend doing a relay! Paulette, this is AMAZING! 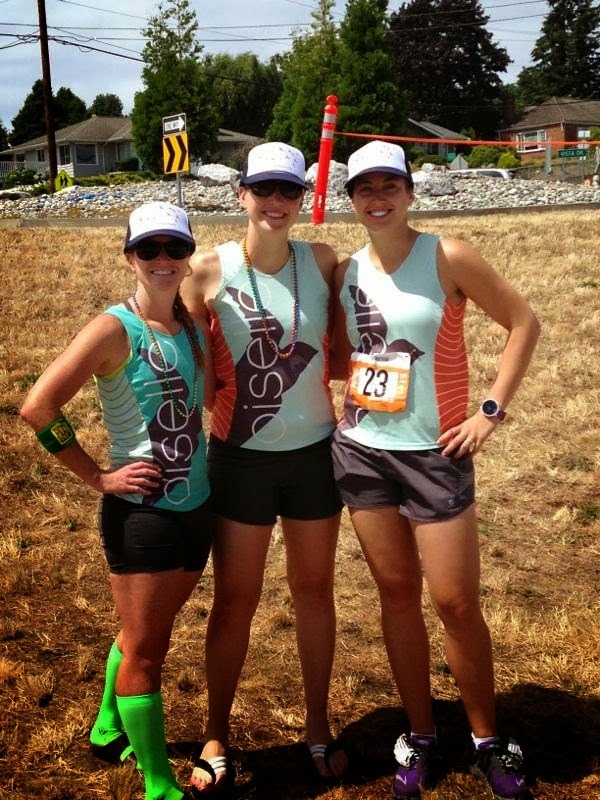 How cool that you were able to participate in this with so many Oiselle team members, and it looks like SO much fun! 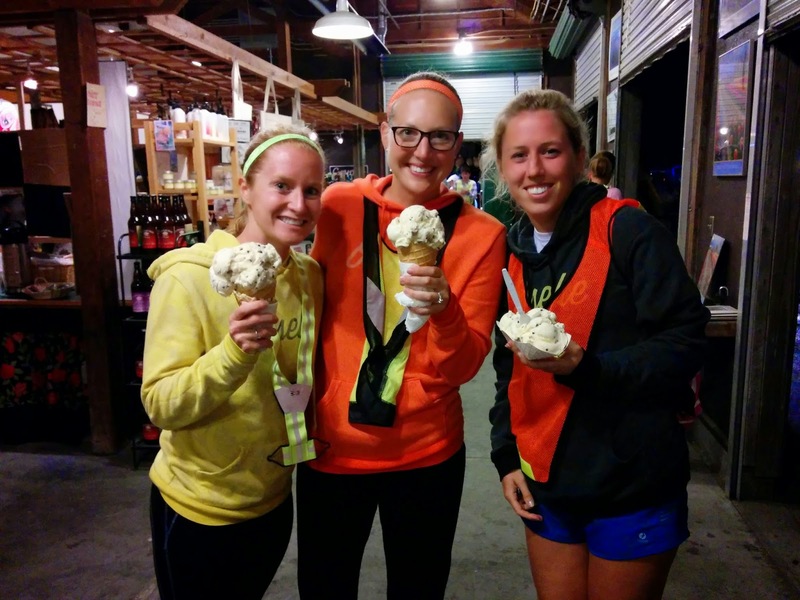 I would love to participate one of these days...great recap; I really enjoyed it! Yes it was a great time, I highly recommend doing a relay! Thanks! YES that's what I like to hear! :) I really like van 2.